Published by the Liberal Institute in partnership with Medicine & Liberty, this work shows paths to move health care away from over regulation to responsibility and choice. A full page of Swiss financial daily l'AGEFI quotes a chapter of the book. Med-Econ Socratic seminar 2017 organized in patnership with the Liberal Institute on June 9-10, 2017 at the Hostellerie Bon Rivage enabled a mutidiciplinary group of partticipants to discuss ethics and economics in modern health care. Journée Libérale Romande, November 2016 Lausanne This one-day conference organized by the Liberales Institut and Medicine & Liberty, discussed different problems faced by present Swiss Health care. The Association of American Physicians and Surgeons (AAPS) The 73rd annual meeting in september 2016 successfully voiced the legitimate concerns of private doctors determined to resist regulatory trends that threaten their mssion to treat patients to the best of their ability. 6th Annual PIMS Leaders Summit held in Berlin, Germany - February 10-11, 2016, brought together decision makers and thought leaders to share views on key issues related to Pharmaceutical and Supply chain Innovation. Dr Alphonse Crespo spoke on the added values of medical innovation. 11th European Resource Bank Meeting hosted by the Institute of Economic Studies included a french session on health care reform with panelists PIerre Bessard, Alphonse Crespo, Kerry Halferty-Hardy and Michel Kelly-Gagnon. AAPS 71st Annual Meeting The Association of Americsn Physicians and Surgeon's annual meeting brought together physicians at the front line of the battle to free American medicine from destruction by third parties. Liberal Institute conference "Healthcare at a Crossroads: Liberty or Regulation" To feature: Cedric Bossart, Yves Seydoux and Alphonse Crespo. 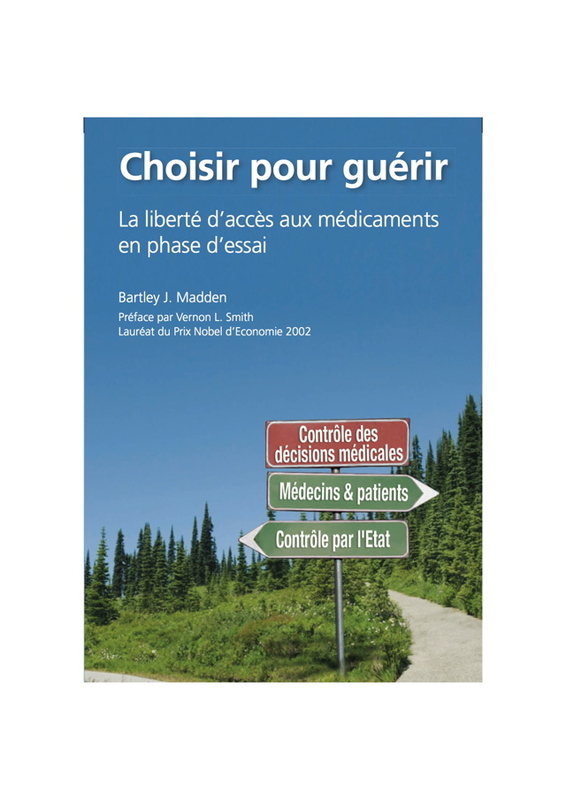 Bartley Madden's "MORE CHOICES BETTER HEALTH: Free to choose experimetnal drugs"
Authored by Grace Marie Turner & other prominent experts, a must-read for Americans who want to know what their bungled health care reform really has to offer. Bartley Madden's brilliant Dual Tracking concept explained in his new book, opens a fast lane to therapeutic innovation that can prove crucial for individuals fighting life-threatening conditions. Dual tracking corrects lethal collateral efffects of bureaucratic regulation and replaces therapeutic choice in the hands of doctors and patients. Co-authors Andreas Beivers, Alphonse Crespo, Alberto Mingardi, Günter Neubauer, Gabriele Pelissero e Valentin Petkantchin offer an update on health care reform in their respective countries. "Economics has little to do with money: it is above all about choices and their impact on society." 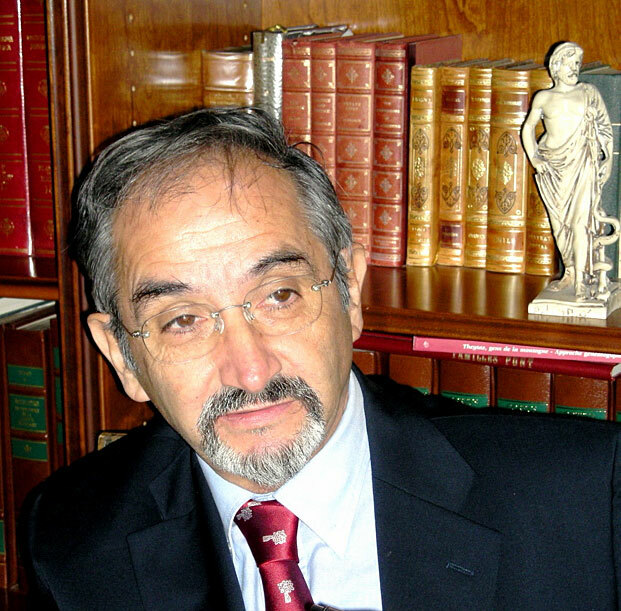 Professor Pierre Lemieux, MedEcon' Academic Board member, in his latest book "Comprendre l'Economie" (Understanding Economics) pubished by Les Belles-Lettres (Paris). followed by original English essay (edited by the author). - First WE will choose your doctor! Once this is settled... WE will choose your illness! From Stockholm Network Conference "
Medicine & Liberty (MedLib) is an independent medical network founded in 2007, dedicated to the study and advocacy of liberty, ethics & market in medical services. 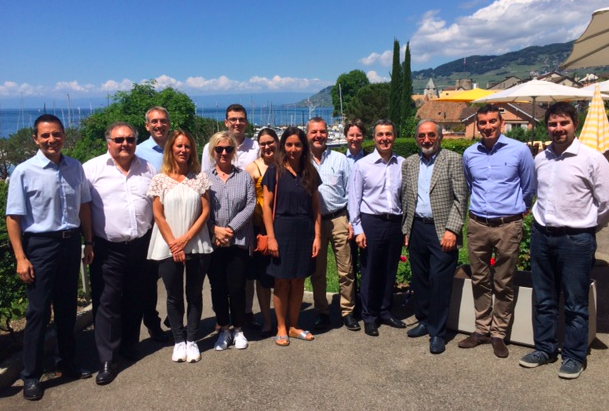 This Med-Econ socratic seminar was organized in patnership with the Liberal Institute on June 9-10, 2017 at the Hostellerie Bon Rivage, La Tour-de-Peilz (Switzerland). 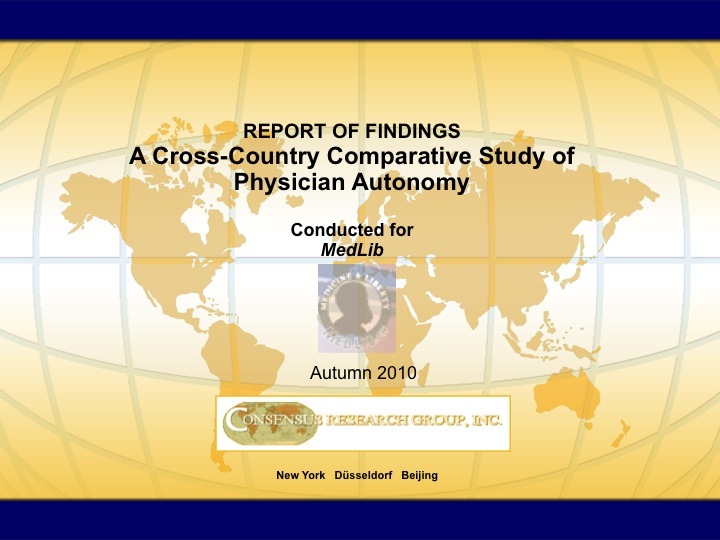 It enabled a multidisciplinary group of participants from various backgrounds (physicians, academics & other professionals) to discuss ethics and economics in modern healthcare. This socratic seminar organized by MedLib at the Chateau Mercier, Sierre in partnership with the Liberal institute, brought together a multidisicplinary and multigenerational group of 18 participants for a rich discussion of issues linked to liberty, economics and the medical mission. Francis Richard's blog wonderfully describes the event. European Students for Liberty held their 2015 annual conference in Berlin. "Opening Boarders" was the main theme of discussion. No better and inspiring venue for such a topic than post-1989 Berlin! The event counted Tom Palmer, Pierre Bessard, Frederic Jollien, Christian Michel and many other illustrious freedom speakers and was thoroughly enjoyed by all those present. 62% of Swiss voters reject the socialist proposal for a state public health insurance system. Given the powerful public media campaign against private insurers the relatively high proportion of "neinsagers" came as a surprise. 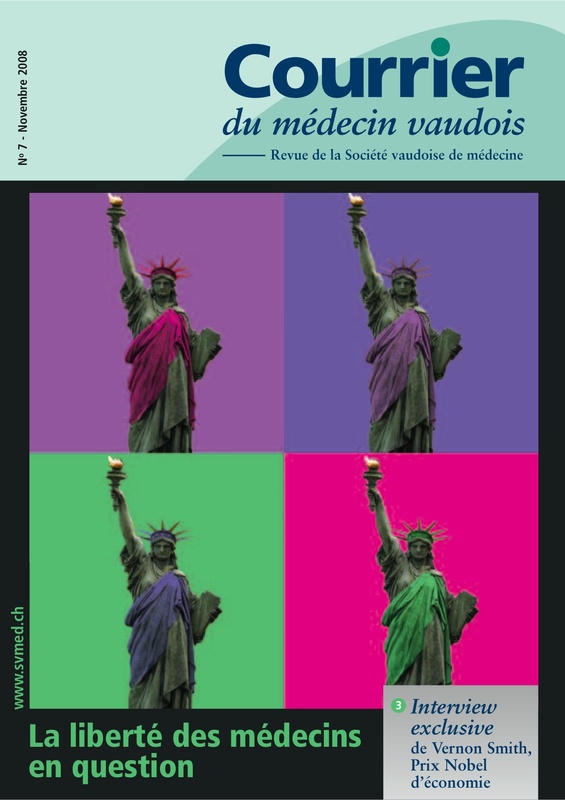 Switzerland to vote on single public payer for health insurance - The September 2014 issue of Courrier du Médecin Vaudois highlights the pros and the cons. Restricted entry to medical schools (numerus clausus) and regulatory ban of new medical offices (caluse du besoin) has led to a severe shortage of physicians in Switzerland. Close to 40% of Swiss hospital doctors are not Swiss. Despite the referendum vote that refused a single payer system in 2007, Swiss Socialists announce that they will put the issue of a single public health insurance again on the table in 2010. Spiralling premiums that plague the current mandatory insurance system may lure more voters to move towards socialized health care. - Couchepin: I give up! - Physicians demonstrators: Not us! Federal minister Pascal Couchepin pushed for intrusive regulation of medical activity. News of his resignation has led medical associations to call for a stop of doctor administrative strikes. 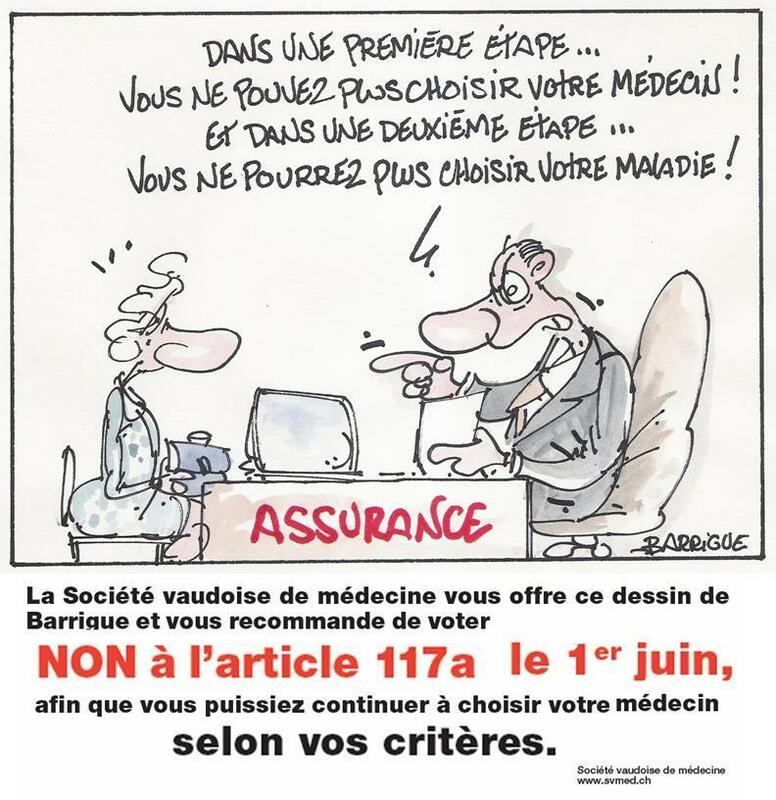 A Pyrrhic victory for Swiss doctors & patients: Couchepin's demise has not stopped government from ordering drastic cuts in lab-test reimbursement fees (that spell the end of GP's office labs) and other disputable regulatory measures. Bern witnesses a national demonstration of GP's. 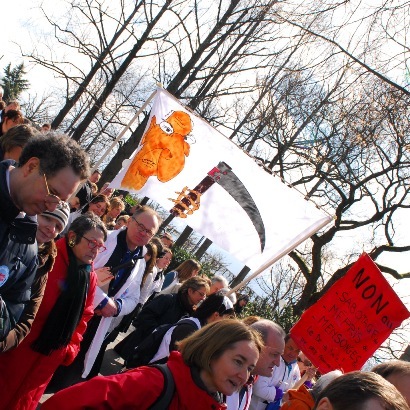 Over 2000 doctors demonstrate in Lausanne & Geneva to protest against federal cost-containment measures that threaten medical practice. How Greek mythology helps us understand crisis in modern health care. Multicast produced by MedLib and AAPS, voices opinions of doctors from US, Switzerland and Germany, on role of Government in healthcare. Another thoughtful Alert and Oriented piece by Michel Accad MD tackles the moral and ethical dilemna tied to assisted suicide. The success story of William W. Mayo, founder of the Mayo Clinic, highlighted by Michel Accad MD demonstrates the power of laissez-faire in health care. Lithuania's newly appointed healthcare minister Vytenis Andriukaitis recently advanced that the USSR had offered one of the best health care models in the world. He mentioned the United Kingdom's NHS as his other icon. Lithuania's minister either suffers from a short memory, from a short sight... or was (hopefully) misquoted. The American Medical Association (AMA) recently voted to reaffirm support of compulsory health insurance. Medical corporate lobbies generally end up bowing to power, even if this means betraying the legitimate interests of front-line working doctors and of suffering patients. The AMA does no better in this respect, than many of its European equivalents. 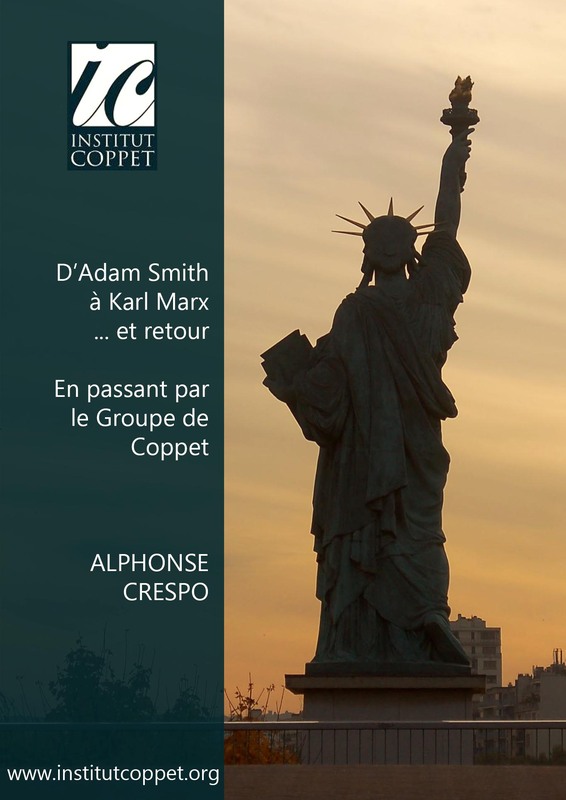 "From Adam Smith to Karl Marx... and Back"
A timely reappraisal of the contribution of Rousseau, Necker, Mme de Stael, Constant and Sismondi to modern political thought. This paper describes how these pivotal figures can teach us how to move from social-democratic quagmires to a free society. WikiLeaks unveils only marginal and anecdotic aspects of political hypocrisy. Yet this proves sufficient to unleash the wrath of government Goliaths peeved by Julian Assange's quixotic challenge. Hippocrates acknowledged the contractual nature of patient-physician relationship and laid down basic rules to keep the economical interface of medical service within an ethical framework. Hippocratic precepts leave little room for third parties. Third-party-free practices as promoted by AAPS signal a revival of Hippocratic entrepreneurship. Bludgeoning wealth is a seasoned tool of demagogic reform. Envy always finds a constituency that enables irresponsible political leaders – such as those that strive to confiscate American health care... and more – to tax their way to their misdeeds. Wealth, however can unfortunately only be confiscated once. Once wasted by government and its bureaucracies it can't be confiscated aga﻿in. The Voice of Doctors - Medical Independence in America. The eloquent voice of physicians that truly care for their patients at last heard loud and clear. America's spin doctor in chief demonstrated - in a forceful attempt to impose his views on health care - how deep the gulf can be, that separates political rhetoric from reason. His eloquence however was not sufficient to blur hard facts. Forcing Bismarckian iron social security blueprints into the American way of life will come with more taxes. Once upon a time there was Pravda. Today "official truths" elbow their way in more covert fashion as the recent muzzling of a League of American Voters' ad opposing Obamacare demonstrates. An armada of spin doctors has been called at the bedside of Obamacare. Their mission is simple: to save Obama's pet project from the growing tide of grass root objections that rise from all corners: taxpayers, physicians, seniors. Can common sense defeat health care demagogy? US polls tend to prove so! Health care taxes not only bring more pork to politicians, they also mean veterinarian care for humans... When we're old and ailing, officials will decide whether we get treatment or a mercy shot! Complex and cautious democratic processes aimed at consensus, such as those of Switzerland do not always yield expected results (particularly in health care). However, they protect citizens from the mischiefs of demagogy and limit ruinous tributes to special interest groups. Americans have started reading the small print of socialized health reforms pushed by president Obama and do not like what they see. Five major freedoms lost in Congressional reform schemes have already been identified. When they promise taxes, most politicians love to keep their word. Health care allows them to surtax, under-supply & get away with it. 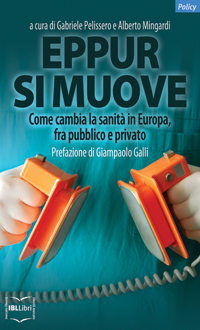 Before inviting Government into health care: Don't forget you'll be a patient one day! Americans must look at European and Canadian government-run health care before allowing legislators to force them into Obamacare's demagogic health trap. 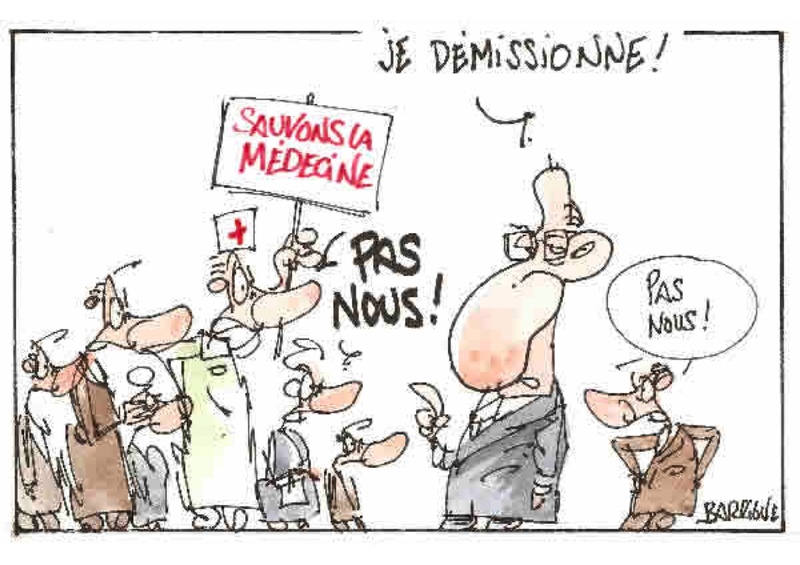 After calling for “pencil strikes” to protest against lab test rationing, Swiss doctor associations now lamely ask physicians to get back to the paperwork… despite the fact that federal health authorities regally ignored their demands. The US invests 17% of GDP in health care because it is a caring nation. Reformers want to change this. Two thirds of Swiss voters called for mandatory insurance to include coverage of alternative medicines. Will their health insurance regulators be able continue using the "evidence based" myth as a tool to ration care? Profit benefits all whereas deficits punish many. Dr.Richard Durana director of INESS demonstrates this in a healthy study on the value of profit in health care. Profit gives health professions and industries resources and incentives to pursue their battle against human suffering and disease. Government regulation and rationing do just the opposite. Constricting growth of Healthcare stakehoders : A Simple formula for Mismanaged Care. The US managed care industry proposes a "simple formula" for health care reform that hinges on the reduction by 1% of the annual growth of all stakeholders in the debate and is currently working on restricting its own growth. Should others follow suit? Encrypted war economies of major nations engaged in ruinous military quagmires are the true causes of global economic crisis. The State is a powerful destructor but a weak mender. Printed money will not repair the financial craters caused by war. Keynesian wishful thinking and outdated social security recipes will deliver neither wealth, health nor security. They will cost Americans dearly . Not only in wasted resources but also in terms of liberties. We'll pay twice for current political profligacy: out of our empty pockets when debts of reckless goverment spending come due and in our flesh when we taste rationed bureaucratic medicine bought in a panic. Mike Tanner and Mike Cannon from Cato Institute blow the whistle. INTERVIEW featuring Bart Madden and Jim Doti president of Chapman University shows how dual tracking can save lives. 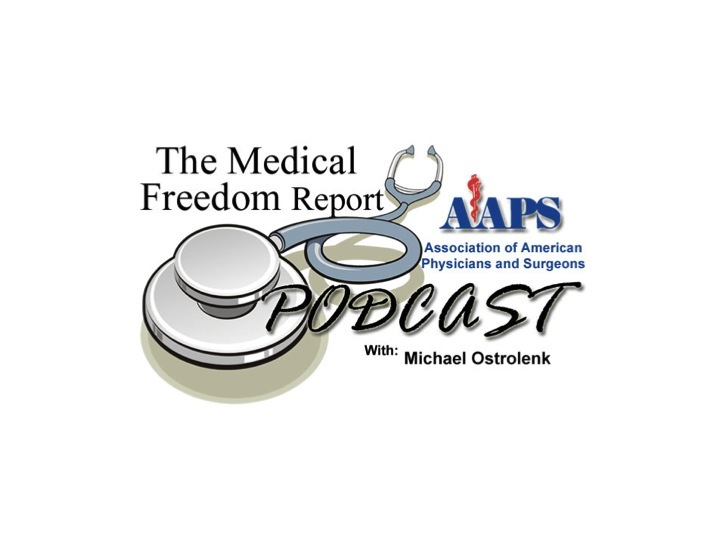 A series of interviews with professionals determined to keep freedom alive in American medicine. Swiss medical students have identified the rationing and bureaucratic paperwork that loom behind DRG's (Diagnostic Related Groups). They prove it in 3 powerful video clips.